(ES) in March, and will benefit from an extensive training programme in the coming months. "Our newly structured BMW Motorsport Junior Programme proved to be extremely successful in its inaugural season in 2014, and produced an outstanding young driver in Jesse Krohn, for whom we have high expectations in his further training in GT racing," said BMW Motorsport Director Jens Marquardt. "Now I'd like to extend a warm welcome to the second class of our development programme for young GT and touring car drivers as they join the BMW family. Our four drivers came out on top over numerous rivals during the selection process. This shows that they bring a lot of talent with them and that we can expect a lot from them. I'm really looking forward to seeing our four new BMW Motorsport Juniors out on the racetrack soon as part of their year of training." In difficult weather conditions, a total of seven candidates competed against each other on the 'Circuito Monteblanco' in the BMW M235i Racing. A jury, which, alongside BMW Motorsport engineers and others in charge of the junior programme, also included BMW works driver Dirk Adorf (DE), assessed the abilities of the talented young drivers in areas such as driving strength, consistency, understanding of the car, teamwork with the engineers, concentration, flexibility, self-assessment, ability to receive feedback and criticism, and behaviour in the group. The four new BMW Motorsport juniors made an outstanding impression. The quartet will make their first joint appearance at a welcome event in Munich (DE) on April 28, 2015. The BMW Motorsport Juniors training programme, lead by chief instructor Dirk Adorf, gets underway with testing in May. In addition to a further test in September, the programme includes two workshops at the iZone Driver Performance Centre in Silverstone (GB), and three VLN race starts in the BMW M235i Racing. 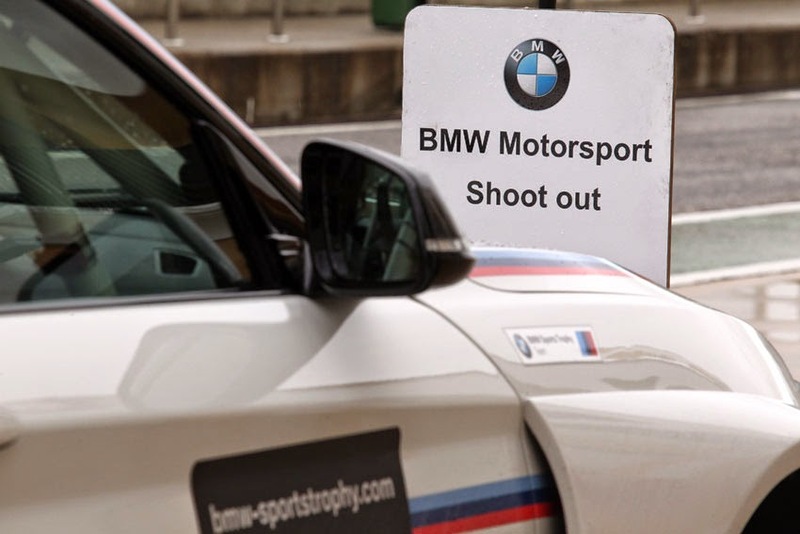 At the end of the year, the most successful BMW Motorsport Junior of the season will be given the opportunity to continue his training for a second year in a higher racing category. The winner of the 2014 BMW Motorsport Junior Programme, Jesse Krohn (FI), will complete an intensive racing programme in the BMW Z4 GTE and BMW Z4 GT3 in his second year of training. Victor Bouveng will fly the BMW Motorsport colours for the first time on April 11/12, 2015. The 18-year-old is in BMW Motorsport's driver line-up for the BMW M235i Racing media car, which will once again contest both the qualifying race for the 24 Hours Nürburgring (DE) and the actual endurance classic on May 16/17, 2015. Bouveng has already gained experience in a touring car over the past two years. In the DTM supporting programme, he took part in the Scirocco R Cup races and in his second season in 2014 finished in an outstanding third place overall. Over the course of the season he finished on the podium six times. Before switching to touring car racing, Bouveng competed in karting and formula racing up until 2012. Nick Cassidy has had his biggest successes to date in formula racing. Notably, he demonstrated his exceptional talent in 2014, when he finished third on his debut at the Formula 3 Macau Grand Prix. In the same year, he won the New Zealand Grand Prix in his home country for the third time in a row. He also got his first taste of touring cars in the Australian V8 Supercars and New Zealand V8 SuperTourers. Louis Delétraz turns 18 on April 22, making him the youngest participant in the 2015 BMW Motorsport Junior Programme. But the Swiss man is not a new arrival to the BMW family. He was successful in the Formula BMW Talent Cup in 2012, before switching to Formula Renault 2.0 NEC in 2013. He had a convincing season last year with one win, five podium finishes and second place in the overall standings. Just like Delétraz, the fourth BMW Motorsport Junior Trent Hindman is no stranger to BMW. He contested the Continental Tire Sports Car Challenge (CTSCC) in a BMW M3 for the Fall-Line Motorsports team in 2014. Alongside BMW works driver John Edwards (US), Hindman celebrated two season wins and won the drivers' title. In the privateer standings of the BMW Sports Trophy, Hindman ended the year in 11th.